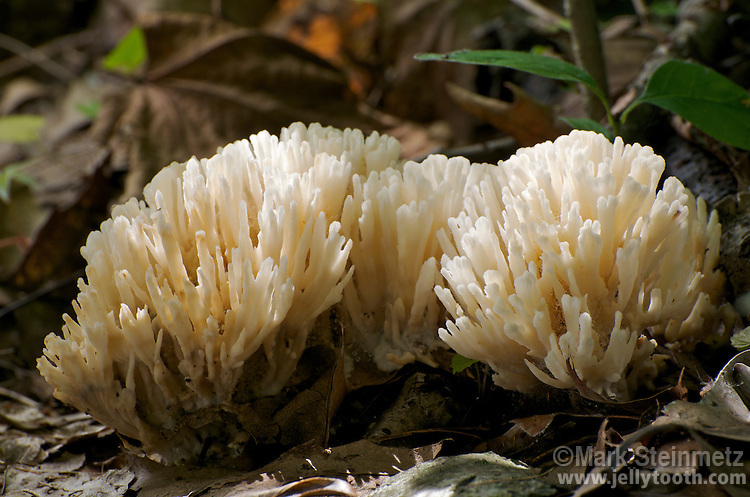 False Coral Mushroom (Tremellodendron pallidum). Though resembling other "coral fungi", taxonmically, this species is closer to the jelly fungi. The tough, almost indestructible fruitbody distinguishes this mushroom in the field from the true corals, which are fairly brittle. Franklin County, Ohio, USA.